► We examined the detrimental effects of laptop multitasking on classroom learning. ► Learners who multitasked during class had reduced comprehension of lecture material. ► Learners in-view of multitaskers also had reduced comprehension of lecture material. ► Multitasking or being seated around multitaskers impedes classroom learning. Multitasking is ingrained in our daily lives. As you read this article, you may also be attending to a text message, sipping coffee, or writing out a list of to-dos. Such a lifestyle is intended to increase efficiency; however, there are limitations to how well multiple tasks can be carried out concurrently (Posner, 1982). 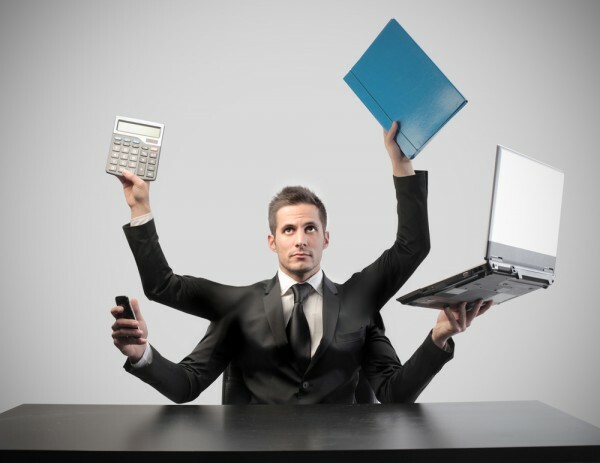 Multitasking places considerable demands on cognitive resources, which, in turn, degrades overall performance, as well as performance on each task in isolation (Broadbent, 1958). The issue of multitasking and its consequences has become a growing concern in education, as students are more commonly found engaged with their laptops or smartphones during class time. The current study investigated the effect of laptop multitasking on both users and nearby peers in a classroom setting. There is a host of theoretical and experimental research on divided attention and dual-task interference, terms that we consider homologous to multitasking and therefore relevant to the current discussion. Research suggests that we have limited resources available to attend to, process, encode, and store information for later retrieval (Posner, 1982). When focused on a single primary task, our attentional resources are well directed and uninterrupted, and information is adequately processed, encoded, and stored (Naveh-Benjamin, Craik, Perretta, & Tonev, 2000). When we add a secondary task, attention must be divided, and processing of incoming information becomes fragmented. As a result, encoding is disrupted, and this reduces the quantity and quality of information that is stored (Pashler, 1994). When we eventually retrieve information that was processed without interruptions, as a primary task, we are likely to experience minimal errors. When we retrieve information that was processed via multitasking or with significant interruptions from a secondary task, we are more likely to experience some form of performance decrement (Wickens & Hollands, 2000). Indeed, managing two or more tasks at one time requires a great deal of attention. Attentional resources are not infinite (Konig, Buhner, & Murling, 2005; Pashler, 1994). When the level of available attentional resources is less than what is required to complete two simultaneous tasks, performance decrements are experienced since both tasks are competing for the same limited resources. This is especially true if both tasks are competing for resources within the same sensory modality (Navon & Gopher, 1979; Wickens, 2002; Wickens & Hollands, 2000). Limits to attentional resources means the quality (accuracy) and efficiency (reaction time) at which multiple tasks are processed will be compromised (Rubinstein, Meyer, & Evans, 2001). Numerous experimental studies have shown performance decrements under conditions of multitasking or divided attention (e.g., Broadbent, 1958; Tulving & Thomson, 1973).